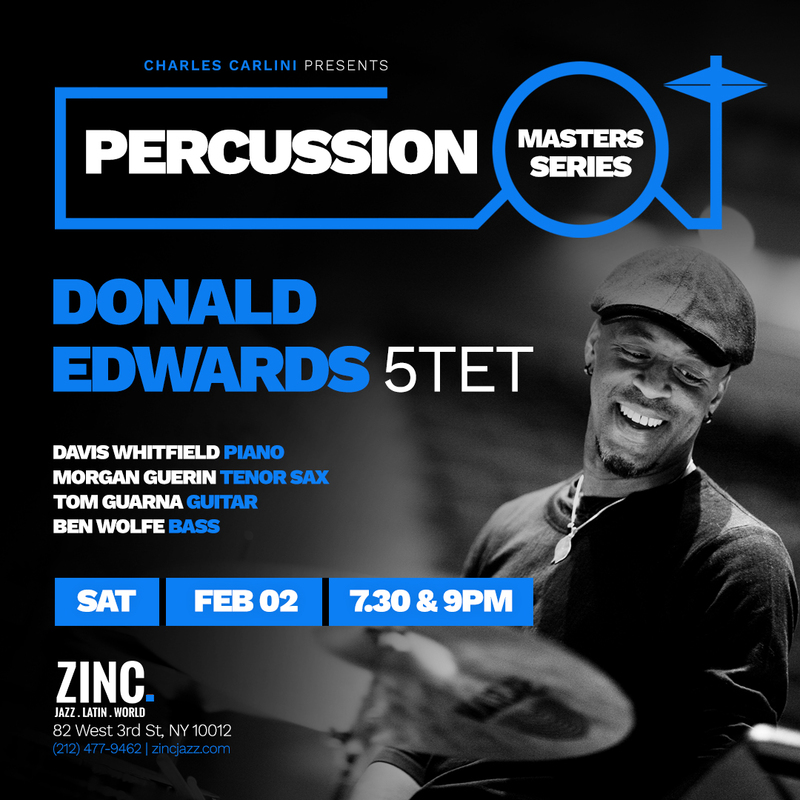 TONIGHT: Catch Percussion Master Donald Edwards at Zinc jazz club. Book your tickets now! Acclaimed master drummer Donald Edwards brings his formidable quintet to the Zinc jazz club on Saturday, February 2. He’s supported by pianist Davis Whitfield, tenor saxophonist Morgan Guerin, guitarist Tom Guarna and bassist Ben Wolfe. Showtimes are at 7:30 pm and 9:00 pm. Tickets: $25 advance / $30 day of show. For more info call (212) 477-9462 or visit https://zincjazz.com.